AAT recently participated in the 10th annual Econet Victoria Falls Marathon—and it turned out to be one of the most successful marathons in the history of the event. There were an impressive 2280 participants taking part in three races—the Econet full and half marathons and the EcoSure 7.5km Fun Run—an increase on last years’ entries. 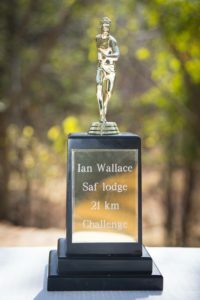 As is custom, Africa Albida Tourism has a floating trophy for the half marathon, which was donated by a former guest Ian Wallace in 2014. 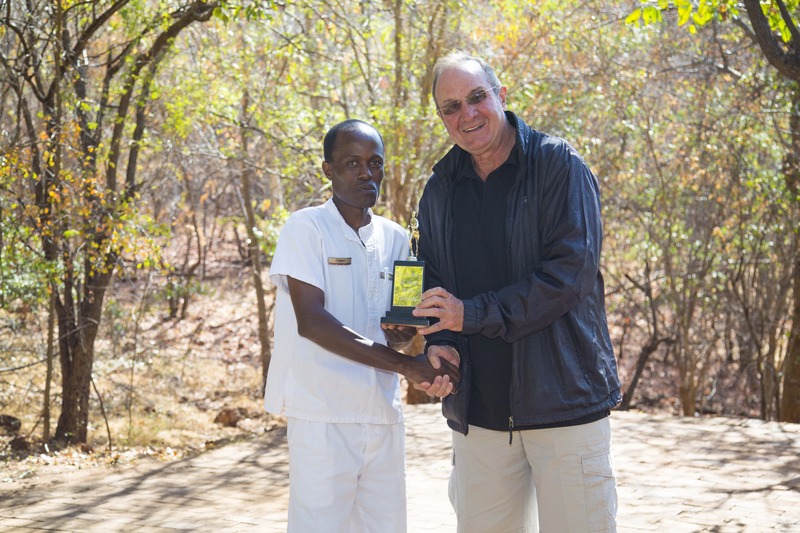 This year, it was won by Casper Mpofu, a member of the Rooms Division team at Victoria Falls Safari Lodge. Casper Mpofu is presented the floating trophy by Dave Glynn, Africa Albida Tourism chairman. 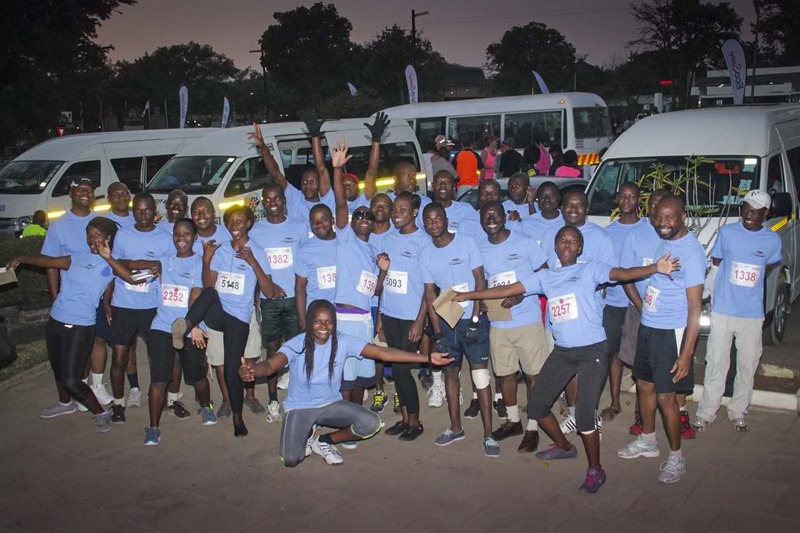 Africa Albida Tourism had 56 participants who took part in the 21.1 km challenge, and 16 in the 7,5 km Fun Run. Simon Munengwa ran the 42.2 km full marathon. He was not registered for it, but decided to take it up last minute and finished it in just 3hrs! Congratulations Simon! The winner of the floating trophy, Casper Mpofu, completed the half marathon in just over 1 hour thirty minutes. Progress Maraidza from the Food and Beverage department was the first lady to cross the finish line. Run against the backdrop of the Victoria Falls, one of the Seven Natural Wonders of the World, a percentage of every entry went to to the official race charity—The Elefence Project. This year, the organisers implemented a new chip technology on the race bibs for a far more reliable and instant time recording. In total, 9 different countries were represented, and many of the participants celebrated their achievements at the festive Sunset Cruise on the Zambezi River and the epic after-party.